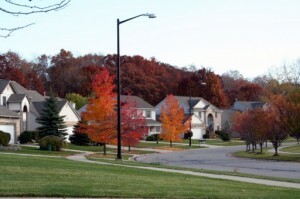 Arbor Pointe is one of the most popular Ann Arbor subdivisions. 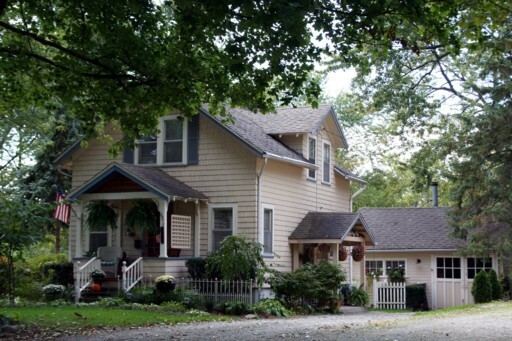 Located in beautiful Scio Township, it has a rural setting, yet is just minutes from downtown Ann Arbor. There are currently 5 homes listed for sale and so far this year, 3 homes have sold. $345,000. 2593 sq. ft. +1361 in finished lower level, 5 bedrooms and 3.1 baths. What’s Selling in the Ann Arbor Luxury Home Market? Just a quick observation about the Ann Arbor luxury home market. 2010 saw 9 sales over $1,000,000 which was a 125% increase over 2009. Many of us thought that this was a sign that the high end would not be as affected as the rest of the market. People with money want what they want, and with Ann Arbor being a wealthy community, we all assumed the trend would continue. It looks like we may have been a little optimistic, as I analyze what’s happened so far in 2011. So far this year, there have only been 4 Ann Arbor home sales over $1,000,000, with the highest sale being $1,075,000. 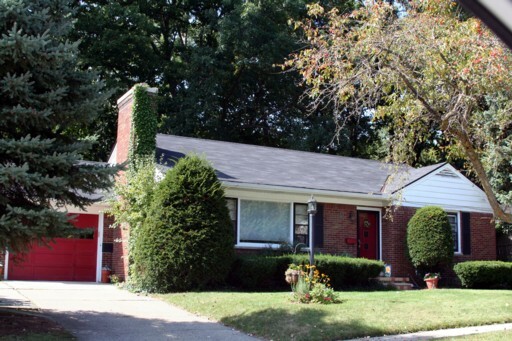 On the supply side there are 20 homes for sale over $1,000,000 with 2 under contract – both located in Ives Woods – one of Ann Arbor premier neighborhoods. What are your thoughts on where the Ann Arbor luxury market is headed? Darlington Subdivision is a charming Ann Arbor neighborhood with tree-lined streets and a nice variety of home styles. Located on the east side, homeowners can walk to parks, shopping, and eateries. There are currently 8 homes listed for sale, with 2 under contract, and so far this year, 13 homes have sold and 3 have been rented. $107,500. 1016 sq. ft. +400 in finished lower level, 3 bedrooms and 1 bath. $130,000. 700 sq. ft. +250 on second level, 2 bedrooms and 1 bath. $137,000. 1133 sq. ft. +450 in finished lower level, 3 bedrooms and 2 baths. $139,000. 960 square feet with 3 bedrooms and 1 bath. $175,000. 1746 sq. ft. +150 in finished lower level. Foxfire Subdivision is a popular Ann Arbor neighborhood located on the north side of town. There are currently 11 homes listed for sale at Foxfire, with 5 under contract. 1 homes is for rent and 3 have successfully been rented so far this year. Surprisingly no homes have sold yet this year, but the homes under contract will be closing soon. $285,000. 1940 square feet with 3 bedrooms and 2.1 baths. $299,900. 1820 sf +720 in finished lower level, 4 bedrooms and 2.1 baths. $309,900. 2362 square feet with 4 bedrooms and 2.1 baths. $315,000. 2144 sf +900 in finished lower level, 4 bedrooms and 3.1 baths. $334,000. 2242 sf +1800 in finished lower level, 4 bedrooms and 3.1 baths. $339,000. 2900 sf +600 in finished lower level, 4 bedrooms and 4.1 baths. $310,000. 2439 sf +1508 in finished lower level, 4 bedrooms and 3.1 baths. Under Contract. $315,000. 2150 square feet with 4 bedrooms and 2.1 baths. Under Contract. $329,000. 2520 sf +600 in finished lower level, 3 bedrooms and 3.1 baths. Under Contract. $345,000. 2480 sf +1100 in finished lower level, 4 bedrooms and 3.1 baths. Under Contract. $359,900. 2653 sf +1100 in finished lower level, 4 bedrooms and 2.2 baths. Under Contract. When talking about real estate values in Ann Arbor, people usually talk about the market in general – which doesn’t give the real story. One trend that I’ve been watching is the price per square foot of sold homes in the different elementary school districts in Ann Arbor. By looking at the attached graph, you will notice that there are large variances in both price per square foot of sold homes , as well as the change in values from 2005 to 2009. 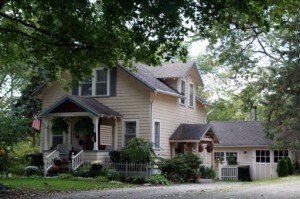 We can begin to see that certain areas of the Ann Arbor real estate market are beginning to recover. Part II – Now More than Ever – It's All About Location! In part two of “Now More than Ever – Buying a Home is All About Neighborhood Location!” we continue our discussion on forces that determine what Washtenaw County neighborhoods will experience a rebound in property values. The surrounding retail space is the third determining factor that will influence what Washtenaw County neighborhood locations will experience a home value rebound first. If the retail area near the neighborhood has experienced closing of big stores or businesses going out of business (ie Circuit City), commercial property owners will have a difficult time finding new tenants. It’s these neighborhoods near these depressed areas that will be challenged to experience a rebound. It is suggested that the neighborhood you choose have a strong base of retail development with minimal retail turnover. Stable retail centers are a reflection of the classification of an “economic force” on real estate values. The last factor that plays an integral part in a potential rebound of home values in a neighborhood is that of nearby job opportunities. Granted, our current economic environment is making a rebound of home values even more challenging in light of the decrease in job opportunity in greater Washtenaw County. There are pockets of bright spots for new jobs but overall, the current picture is not encouraging. Job recovery will be an important driver of home values in our Washtenaw County neighborhoods. Again, this influence is classified as an example of an “economic force” on real estate values in our neighborhoods. The two last forces or factors that affect neighborhood home values are: 1) governmental forces (zoning laws, building codes and rent controls) and 2) physical/environmental forces (natural resources, climate, and topography). While these have and will continue to impact home values, lately economic and societal factors have dominated how and when our home values will begin to turn around. What other factors would you add when buying a home and selecting a neighborhood that direct you to the best neighborhoods? Is it neighborhood amenities like play grounds, nearby recreational opportunities, or is it being near your place of worship, service providers like a grocery store, or medical facility? Ann Arbor, speak up.